Test yourself so you know exactly where you stand with our Benzodiazepines drug test - now available for home use and offered today at factory direct prices! 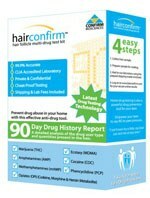 These 99% accurate test kits deliver results in about five minutes and test for a variety of benzodiazepines in your system. A full 19 different drugs are covered by this test, including popular ones like valium, Xanax, and rohypnol, as well lesser-known but important drugs. 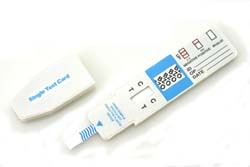 You can test yourself in the privacy of your own home by simply dipping one of the test strips into a urine sample. The results are easy to decipher - one line indicates positive, two lines indicate a negative result. Order now and receive discounted pricing when you order three or more kits - even greater savings if you order 10 or more! For more information about our Benzodiazepines test kits, contact one of our helpful customer service representatives today!